Stains that stink. Mold not only destroys materials in your home; it also produces foul odors and hazardous airborne spores. Mold is difficult to control because of its incredible mobility. It spreads by means of microscopic spores that are suspended in the air all around us. 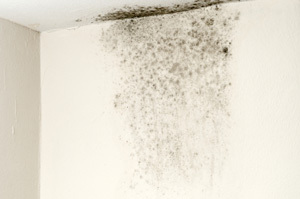 But like any living organism, mold seeks out favorable living conditions and avoids hostile conditions. Airborne mold spores will only begin to form a colony of spreading mold when they encounter the right conditions. At Redeemers Group, we’ve been helping homeowners rid their homes of mold since 2008. We will inspect your home and provide the necessary suggestions for effective mold prevention and mold control. What can homeowners do to prevent mold? Make sure gutters and downspouts are functioning properly. Avoid storing newspapers, old books, furniture & scrap wood in basement and crawl space areas. Keep mold-prone areas dry: inside closets, around toilet bases, under washing machines, in sink cabinets. Have AC equipment serviced once a year, including cleaning of evaporator coil. Call a professional, like Redeemers Group, to solve mold problems in basement, crawl space and other areas. To succeed at preventing mold, it’s important to understand the conditions that mold loves and hates. Contact the mold prevention experts at Redeemers Group today for a free mold estimate in Little Rock, Memphis, Southaven and nearby Tri-State Area. We will thoroughly inspect your home, take care of any mold, and we can also provide solutions for effective mold prevention. At Redeemers Group, we’ve been helping homeowners rid their homes of mold for nearly two decades. Our main “target” areas for mold control are basements and crawl spaces, the most challenging areas of the house for mold prevention. However, we can tackle mold mitigation in other parts of the house as well. Basement mold prevention. Start with a failsafe waterproofing system powered by a TripleSafe® sump pump that includes battery backup power. Add a SaniDry® dehumidifier to automatically maintain low humidity so that mold can’t take hold. The dual-filter design of the SaniDry™ will trap airborne mold spores. Free inspection and mold mitigation estimate. Treatment of fixed materials & surfaces to kill and remove mold colonies. Replacement of mold-friendly organic materials with mold-hostile inorganic materials. Waterproofing basements and crawl spaces to eliminate flooding & standing water. Crawl space encapsulation (sealing) to maintain a clean, dry under-house environment. SaniDry® dehumidifier installation to maintain low humidity levels in basement and crawl space areas. NOTE: The SaniDry™ dehumidifier will also capture mold spores in its high-performance air filter. There's a very good chance that the air your family is breathing in can be the mold in your basement because of the stack effect. Our professionals offer solutions for mold growth prevention at the time of consultation with our environmentally-friendly Green Performance products. Don't let mold destroy your basement or your home - our mold prevention service area covers a good portion of the MidSouth, including: Memphis, Little Rock, Southaven, Cordova, North Little Rock, Germantown, Jonesboro, Collierville, Conway, Hot Springs and surrounding Tennessee, Mississippi and Arkansas areas. If you suspect your basement or crawl space already has mold, call us to schedule an inspection and to receive a Free Estimate.